There are some stories that are be missed these days, so play real close attention folks. these are the stories that sneak up on you before you know what hits you. These could be stories about players, teams and coaches. In most cases they are feel good stories. So today I am going to give you a story about unseen GREATNESS! There are Players having killer seasons and you would never know it. There are the players the hype machine gives no love too. These are the players who everyone should know and for reason unknown refuse to acknowledge them. 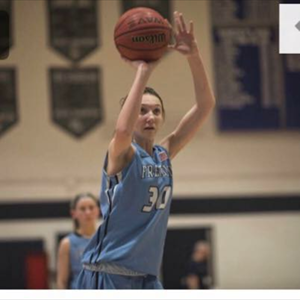 HANNAH OLROFF of Freehold Township, may be putting together the most shocking season in the entire state. She had a solid freshman year averaging 7.7 points and 7.7 rebounds a game. I FOUND OUT SHE IS NOW 6’2″ not the 5’10” when she attended Core Skills Saturday as a 8th grader. Yet n0body said a single word about her last season. That even after her 22 rebound game against rival Freehold Boro. What shocking this year, is that she is still getting no love, while having a historic Sophomore season. It’s almost embarrassing and an insult to she and her teammates that we are not showering her with love and attention. How can you have a double/double in every game? How can you average 17.5 and 12.8 rebound and over 2 blocks a game and be unknown? How in the world can those numbers go unnoticed for anyone more less a sophomore? Some of games look cartoonish for Hannah Olroff. We are talking about a double/double in every single game except one. Last night she had 21 point and 19 rebounds in a win over Manalpan. That was not even her most impressive game to date. Clearly she likes big games, she had 23 points, 17 rebounds and 5 blocks against rival Freehold boro. Folks we are talking about historic numbers here. She has had has many as 19 rebounds in a game 3 times. She has a career high 22. Now don’t tell me about competition or who she is doing it against. Because she does it against EVERYONE…Hannah had 11 points and 13 rebounds against the #14 team in the state Middletown South. Did you see where Middletown North just beat #10 Colts Neck last night. What a sweet win for those North kids. 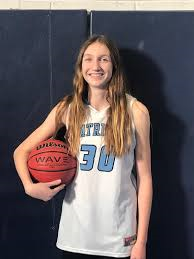 Well just remember HANNAH OLROFF had 23 points and 15 rebound against Middletown North this season. She struggle against Top 20 Marlboro with only 23 points and 11 rebounds. Last season Freehold Boro went 10-17 overall and 6-6 in A North. This year they are already have 6 wins in conference at 6-4 and already have exceeded last years win total at 11-6. There is going to be a Player of the year in “A” North and guess whose name is going to have to be at the top of the conversation? HANNAH OLROFF. You can’t disregard what this young lady is doing this season any longer. She was recently named player of the week. But looking at her stats and Freehold Twp’s turn around. She could be named player of the Week… every week. I remember how hard it was to get HANNAH OLROFF to talk, when she attended Core Skills Saturday. She seemed shy and not sure of herself. It’s amazing to see what she is doing. It’s so impressive that I can honestly say I have never seen anything like this in all my years covering the shore. Nobody goes from averaging 7.6 points a game to 17.5 and 7.6 rebounds to 12.8. This is unheard of at any level. HANNAH OLROFF’S is doing something we have never seen before and that is real talk. “Sometimes, you have to just stand up and cheer for a kid. Some kids are special and it takes us time to figure it out. Somethings you see the greatness and forget because the kid doesn’t go to a brand name school. The kid doesn’t play for a high profile AAU team. In some cases the college coaches don’t ask you about the kid. So you forget and move on because it so much easier to do that. I saw HANNAH OLROFF name on twitter, when the great Gregg Lerner mentioned she was Player of the Week. It was not until I saw her picture, did I remember her. You see this is what I wrote about her two years ago(see below). I predicted she was going to special. Now she is just making me look a lot smarter than I really am. Because if I was truly smart, the entire Shore Conference would already know her name… HANNAN ORLOFF“. 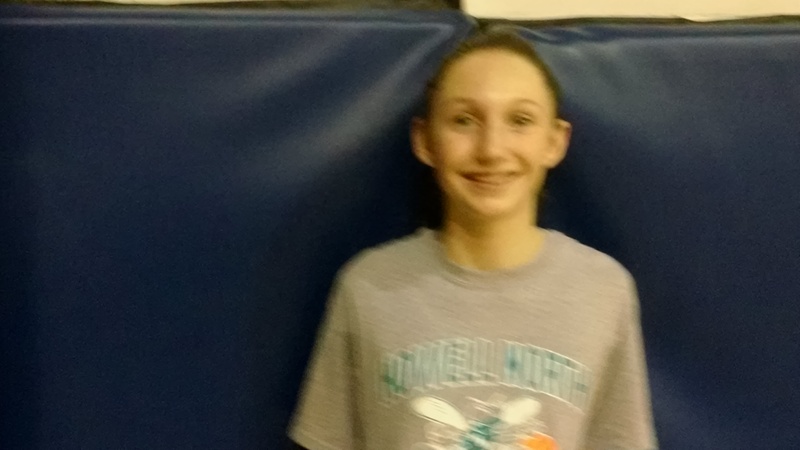 HANNAN ORLOFF-5’8″– Forward-She makes this, the third future Howell player to make this list. She understands the art of playing hard. There is no question she upgrades the Howell talent level. She is very aggressive and more importantly competes. She runs the floor and is long and lanky. SHE DOES NOT PLAY SCARED. She most likely will train all spring and fall. She is CULTURE kid… meaning her work ethic and talent will impact the program. This is a beast of a beast in the making, stay tuned.